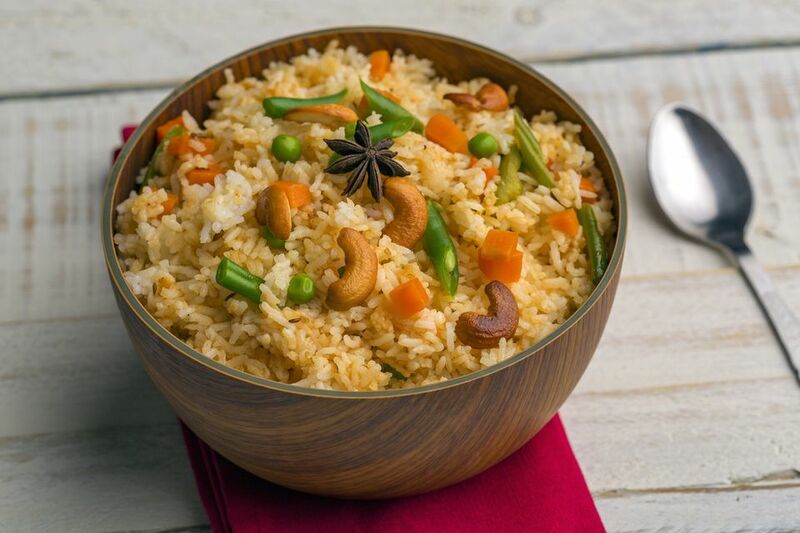 Adding a few cashew nuts to this vegetable fried rice adds a load of health benefits and a satisfying crunch to this classic dish. Heat oil in a preheated wok or saute pan over medium-high heat. Add ginger, stir until fragrant. Add onion, stir-fry for about 2 minutes, until softened. Push the onion to the sides of the wok. Add the frozen corn or peas in the middle, and stir-fry for 1 minute. Push to sides, add red bell pepper in the middle and stir-fry for 1 minute. Stir in soy sauce and pepper. Stir in cashews. Stir in green onion. Taste and add seasoning if desired.